Confirmed, seats available. Sign up for the Certification Course or request a quote. The instructor will be Elizabeth Binning, Product and Learning Specialist. 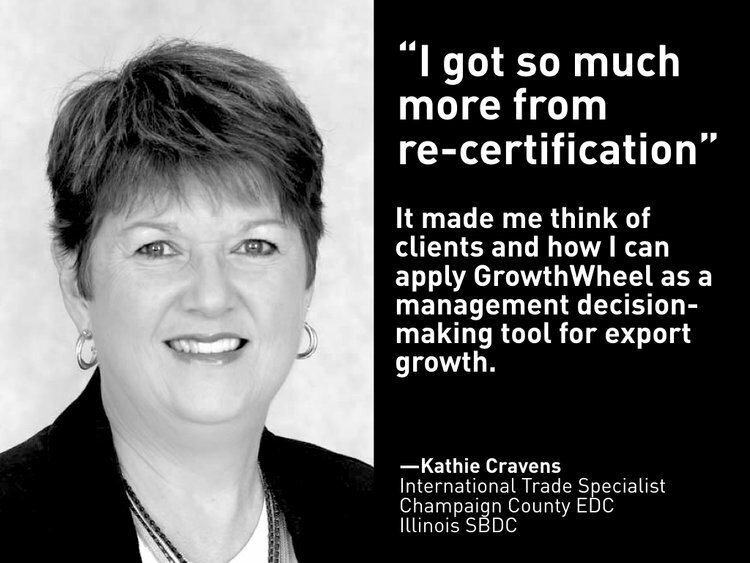 Please bring a laptop or tablet so you can try out GrowthWheel Online during the course. You may also consider to bring a charger and an extension cord. Please think of a business case that you would like to work on during the workshop sessions on day 2. It could be a case with a current client company - or a new company that you are going to work with. There is no pre-booked hotel, so we recommend using hotels.com to find the best option. © 2019 GrowthWheel International Inc.